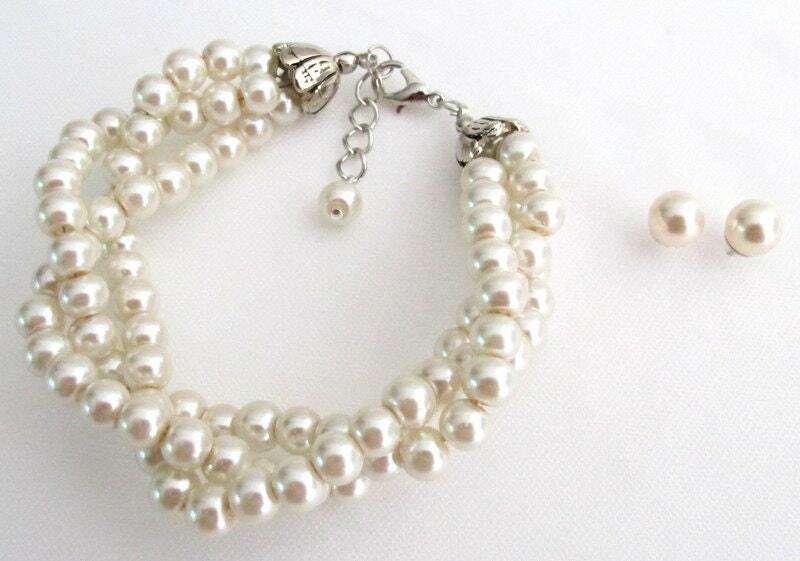 TB1130 You are looking the Twisted Pearl Bracelet is loaded in Glass Ivory pearls with 6mm pearls three strand bracelet. 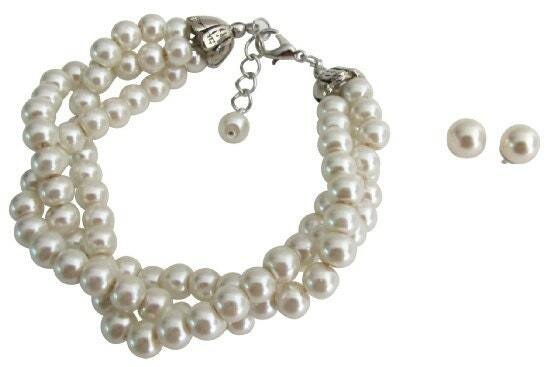 The Twisted Pearl Bracelet adds depth and a splash of color to the wrist and is a great accessory to wear for a formal event or to dress up an outfit. Great quality and the color goes perfectly with plum/eggplant/lilac bridesmaid dresses. I’m very pleased! Perfect, can't wait for my bridesmaids to wear these! Braided. Beautiful. Shipped on time.love it.